A 3-mile radius is very large – here, as shown, it’s much of inside the Beltline Raleigh in regard to the state Capitol. At the nuisance trial in Raleigh, Steve Wing was testifying about his views on hog farms. 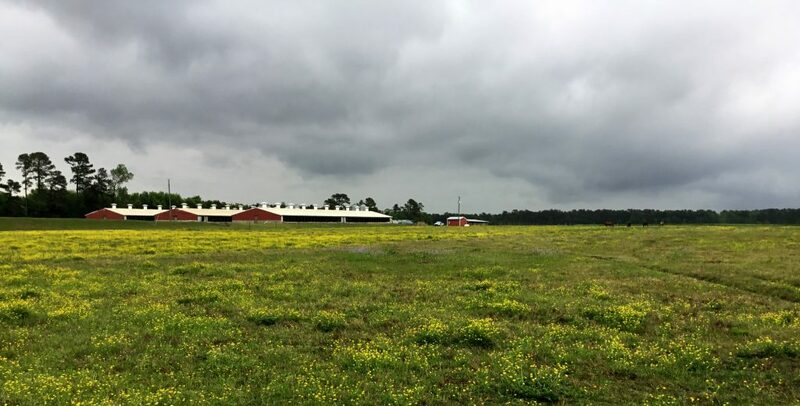 Storm clouds gather over a Duplin County hog farm. There is an astonishing story being told in a federal courtroom in Raleigh right now. It’s coming from a Texas lawyer named Michael Kaeske.